The fight to write a faultless resume is still on! While some are puzzled regarding the format and font to use, most of the individuals think over the number of pages a resume should have. If you too are willing to write an effective resume then this question must be juggling your mind as well. As such, there is no fix rule for number of pages a resume should have. This is because while some have very less to share, there are others who have a pool of imperative information to jot down. But if you want to frame an impressive resume based on general conditions and rules then a One Page Resume is what that is mostly preferred by organizations and recruiters. While a two Page Resume comes with the advantage of offering you more space to write, a one page resume can bring numerous benefits to you. So, if you are still confused that why your resume should be one page and not more than that, then here are some top reasons that explain this in detail. How Important Is a One-Page Resume? Whether you are an entry level employee or highly experienced professional, individuals who will recruit you possess very short time span of attention. 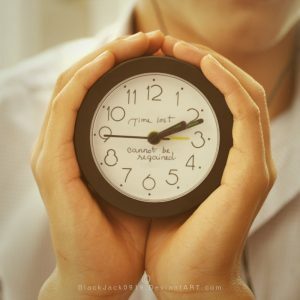 In most cases, recruiters may take only 15 to 20 seconds to go through your resume. So, in such situation if you have a lengthy resume then your chances of getting interviewed and then hired are reduced to a great extent. Recruiters always love those who are able to deliver them with productive results without utilizing much of their time. Your resume should include only meaningful and vital information about yourself. You do not have to explain everything in detail in your resume. So, if you have only one page to write, then surely you will jot down only meaningful and resourceful information about yourself. 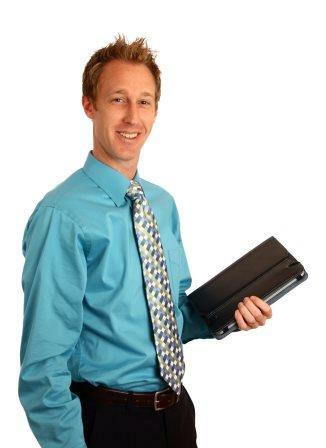 The format of a resume is a very crucial aspect to consider. You can’t even afford to make a minor mistake in that. In such case if your resume is too long or more than one page, then there are possibilities that the format may get disturbed. So, in order to avoid any sort of issue within the format, it is wise that you limit your resume to single page only. When you have less to speak and less to write, then surely you are going to speak very important information only. The same rules apply when you are writing the resume. You have to be crisp, clear and concise while framing the resume. You should remember that your resume must include only extremely vital information about yourself and not anything that is irrelevant or not required for that particular job profile. Your resume is your marketing tool that you utilize in order to get hired by a company. So, just like a product is imbibed with its core benefits, similarly, you have to highlight only your core skills and qualities in the resume. You only have to highlight what all vital skills you have, to serve the company and how your past experiences and present strengths can make them secure more productivity gains by hiring you. When you write more then you can make more mistakes. It can be any kind of mistake, a typo error, a vocabulary issue or inclusion of any irrelevant information. But since you want your resume to be impressive and faultless, so there is no scope of making a mistake in it. In such situation, it is better that you write less and relevant only. It will not only make your resume appear more impressive, but will also reduce your chances of making a mistake to almost zero. If there is limited space to write, then surely you would like to portray only your best things to others. In such case, you can avoid writing your weaknesses and jot down only your strengths in the resume. This will avoid including any negative information about yourself and will also provide you with more space for writing any other essential fact. Your resume may differ for different jobs. For instance, if you have applied for two distinct kinds of jobs, then definitely your resume may also slightly differ from each other. Even the keywords for targeting that job will also differ. So, if you have wisely used some really impressive keywords to easily target on your preferred job, then you would want the recruiter to notice them. If there are limited words to read, then the recruiter can levy great focus on your targeted keywords. In case the total words in a resume are more, then the focus of recruiter will also diversify. A briefly written resume makes recruiter believe that you are clear and planned about your career. It shows that you have a career path to follow and you are willing to reach out to your goals and destination without wasting your time. In short, a one page resume is helpful in outlining your positive image to the recruiter. If there is too much information written down in a resume, then the recruiter will try to have a glance at all of them and may end up reading nothing. But if there are limited highlighted words to read, then surely the recruiter will not only read them but will also remember them. So, for this reason, writing a one page resume is an easy way to drag your recruiter’s attention towards important aspects of your career and professional self. If you design a resume well and able to highlight your skills to potential employers, then only you will capture sufficient attention to get a call for an interview. A one page resume consisting your skill potency, employment history and core competencies is enough to draw recruiter’s attention towards your profile. When you create a single page resume that is well formatted, accurate and precisely constructed, then this gives the recruiter an idea that you are able enough to keep things well organized. Well organized resume content without too much verbiage is always welcomed as first priority by recruiters. Your resume is most responsible for you creating the first impression over the recruiters. If your resume contains only vital information about your professional life and highlights aspects that are pertinent to your focus then even the recruiter gets an idea of how you prioritize things. 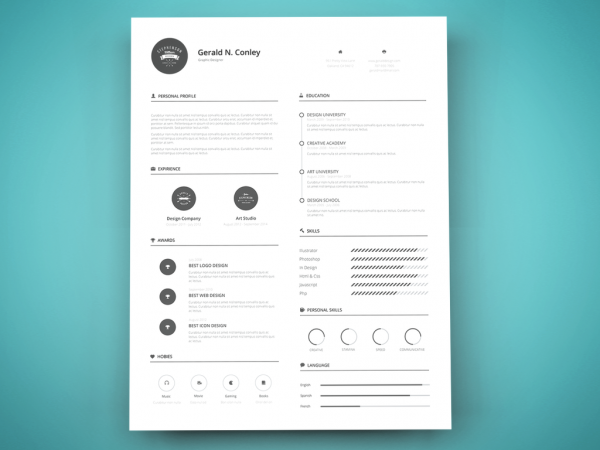 A well designed one page resume can successfully create your positive image in front of the recruiter. Single page for a resume is merely enough to write down all important and crucial aspects of your professional life. You can easily jot down things of vitality and focus regarding your job in one page resume. For such reasons, there is no need to create an additional page of the resume. A one page resume is more interesting to read and even saves lots of time to recruiters. As compared to this, a two or more page resume seems not only hectic to read, but may also highlight some negative aspects of yours. 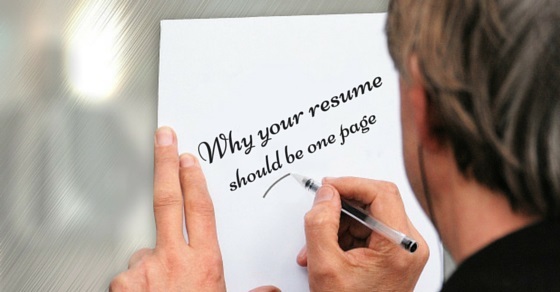 It is therefore always better to create a single page resume so that recruiters remain interesting in knowing about your skills and qualities, and so none of your points are left unread. If you are very much skilled, potential, possess great job qualities and more, then there is no need to detail about them in two page resume. You can highlight everything about your professional path in one page resume in order to create a paramount impression over recruiters and others who read it. If you are skilled enough, then you should not require two pages to create a similar impression over others. The task can be done even with a single page. For individuals who get confused between resume and curriculum vitae, the thing is simple. There is a very thin line between these two professional documents. If resume is your marketing tool then Curriculum vitae is the document you need after successful completion of interview. So, don’t try to make your short resume, curriculum vitae that contain details of your previous job and experiences. You need to be precise and brief while creating a resume. If you will intentionally try to increase your resume length and make it end up with two pages, then surely you are going to present information that is not at all required or may be unimpressive to the recruiter. So, don’t try to place unfruitful things in your resume as it will deteriorate its quality and can also create a negative impression over one who will read it. Just be precise about it and include only relevant information about yourself in your resume. If your resume is one page then it will have more meaningful and factual data about yourself. There is no need to place all your email ids or your phone numbers in your resume. Even one of them will also do. Also, if you have worked in a company for very short time span again, there is no need to mention about it, until and unless it is very much beneficiary to your further job prospects. So, if you will write only what is required, then surely your resume will appear more factual and comprehensible even when it will have one page. When there is limited meaningful information provided in a resume, then each and every aspect of it gets highlighted very well. So, if you have really good accomplishments and sound previous record and want the recruiter to know about it, then single page resume can work wonders in this case. With limited information to read, the recruiter will definitely go through your accomplishments, and therefore will get to know what all you have achieved in your past. A too long resume seems not only unattractive, but also boring to read. Sure, recruiters don’t have enough time to go through the entire story that you have presented in the form of a lengthy resume. So, if you don’t want your resume to appear boring, unattractive and tedious then keep it to one page only. Since your resume is a marketing tool that you are using to sell your qualities and skills, so what you write in it will create an impact over others who want to buy your potentials. If you will overstuff your resume then it will portray to recruiters that you willingly want this job or precisely you are overselling yourself. So, don’t let recruiters get such an impression and try to write only thing that is essential and required. Taking out relevant information from fluff and writing it down in impressive, precise format is an art, and not everyone is skilled in it. If you are able to write only required information in your resume and that too in an impressive manner, then this will showcase your another skill of being precise and clear to the recruiters. Individuals who include too much information in their resume, just to increase its length, appear common and not noteworthy to recruiters. If there is more information that is not very much crucial, but still you want it to present in front of the recruiting team, then surely you can include it in your curriculum vitae. This way you will not only able to outline a well informed vitae but will also able to differentiate between what is most important and what is least required. First impression is the last impression, and before going to an interview, it is your resume that speaks about yourself. So, if it is going to be filled with good things, only then it will help in generating your positive image in front of recruiters. If your resume is itself not unique then it will not be able to bring positive gains to you both during and after the interview. Creating a resume of more than one page is not only unwanted but is also a waste of time for you as well. Why do you want to waste your time in collecting irrelevant information and then including it in the resume, correcting it and more. Just write what is required and you will be able to frame a really content rich resume in very less time. The length of a resume also depends on how much experience you possess, your achievements, accomplishments and other vital stuff you have to share. Mainly, if you possess long term experience, then only you will need more pages to write it down. In case there is not much information or experienced possessed by you, or you are a fresher then why you need more space. You can compile all necessary information about yourself in one single page only. There is a possibility that you are multi-skilled person that possess numerous qualities. But there is no need to jot down about each and every quality of yours. You have to write only about those skill set that matches perfectly with the job vacancy you are targeting. This much information can be nicely presented in one page and so there is no need to extend your resume to two or more number of pages. With limited information to include; one page resume seems easier to write. You don’t have to create stories or think over distinct stuff to include, which might be the case if you plan to increase your resume length from one page. Only professionals are able to bring out features that are productive. Other individuals may even don’t think about the significance of such competencies. So, if you want to raise a leading professional representative of yours to the recruiters then outlining a one page resume with rich content is most convenient and finest way to do it. Your resume is your most essential marketing tool, which represents your professional character and potentials to the recruiters. So, try to include information that is relevant, required and necessary for you to grab on the job and to make it appear precise, comprehensive and consequential to the recruiters.